As the title of today’s post suggests, we’re actively searching for a science instructional specialist with special qualities far beyond the fundamentals of possessing a BA or BS in science. To our minds, the most important thing about this search is finding a science instructional specialist who has a genuine passion for working with adolescents — especially those who have not found success in a traditional educational setting, and who have demonstrated an interest in reengaging themselves in their own education. Yes, a bachelor’s degree or a related science, technology, engineering, and math (STEM) degree is a requirement, as are strong leadership and organizational skills. But our candidate should also have a desire and talent to reform educational practices as well as guide diverse high school students on a course that endorses and supports their own individual gifts and dreams. We go to great lengths to handpick instructors who are comfortable with empowering their students to explore their surroundings and look inside their own lives in a deep and critical manner. 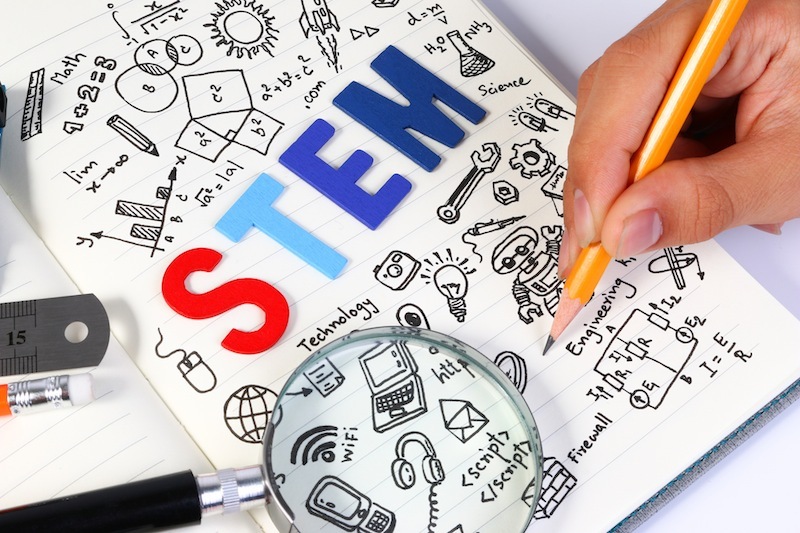 As a result, we need to know if our new science instructor believes that science and scientific thinking can be taught in cross-curricular experiences that are meaningful to teens. And we ask them if a mountainside boarding school that bases its disciplinary approach on relationships and respect sounds like something they’d like to be a part of. In addition to working comfortably around students, we here at Eagle Rock School and Professional Development Center insist that our instructors work well together as a team to develop empowering active learning opportunities for our students. And as an educational team, we actively look out for each other — encouraging our fellow educators’ success and constantly striving to improve our processes. Specifically, our new instructor will have high school science teaching experience. Also helpful is a good handle on the following attributes: experience in CES / Big Picture Learning / Expeditionary Learning (EL) or similar progressive schools; experience with interdisciplinary curriculum design, experiential education, project-based learning, mixed-ability classrooms, and the Understanding by Design process. There are other responsibilities specifically targeted for the science instructor position, and they can be found online in the Employment section of the Eagle Rock website. As to what we look for in all of our instructors, we are professionals who can work collaboratively both inside and outside the classroom. A big plus is experience working with diverse populations including a mix of LGBTQIA students, students from low-income backgrounds and students from diverse racial, ethnic, and cultural backgrounds. As you might have guessed by now, a teaching position at Eagle Rock School is no walk in the park. In addition to teaching duties, our staff supports the students on issues beyond academic growth. These include dealing with personal issues, quelling emotional fires, and creating evening and weekend activities that increase student participation on campus and within the Estes Park, Colo., community. We’d like to have our new science instructional specialist onboard for the summer or fall of next year, and we will accept applications through Feb. 13, 2017. Phone interviews will be held from Feb. 1 to Feb. 24 and three-day onsite interviews are scheduled for early March. Interested applicants should submit a brief cover letter, a resume, a brief skills self-assessment that indicates results produced in each of the three major areas of responsibility as can be found in the position description online (i.e., Curriculum, Student Support, and School-Wide Involvement), and three professional references to info@eaglerockschool.org. Clarifying questions can be sent to our director of curriculum, Jen Frickey, by emailing: jenfrickey@eaglerockschool.org. No phone calls please. We only accept electronic submissions. No paper or fax materials will be considered. Before applying, please be sure to read the full Science Instructional Specialist job description in the Employment section of the Eagle Rock website. This entry was posted in Employment Opportunities and tagged Science Instructional Specialist.